New paint job for the Wilson Pro Staff RF97A? 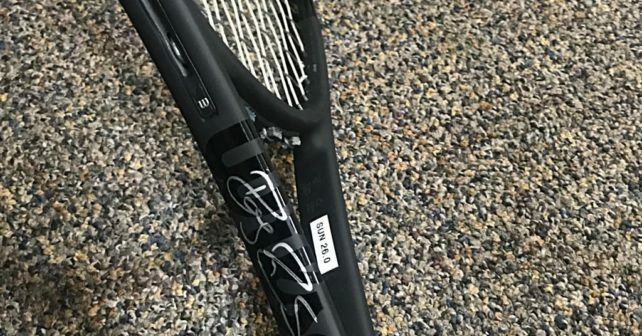 There are speculations around a new paint job for the Wilson Pro Staff RF97A after a post from Roger Federer’s racquet stringer Ron Yu. Will there be a Wimbledon edition of this bestselling tennis racquet? Isn’t it a bit too early for a new paint job for the Wilson Pro Staff RF97A? Well, the red/black version was released in 2014 and the black one in 2016. So if Wilson thinks every two years is a good rhythm for a new version/edition of a bestselling racquet, we are likely to see a new one before Wimbledon. 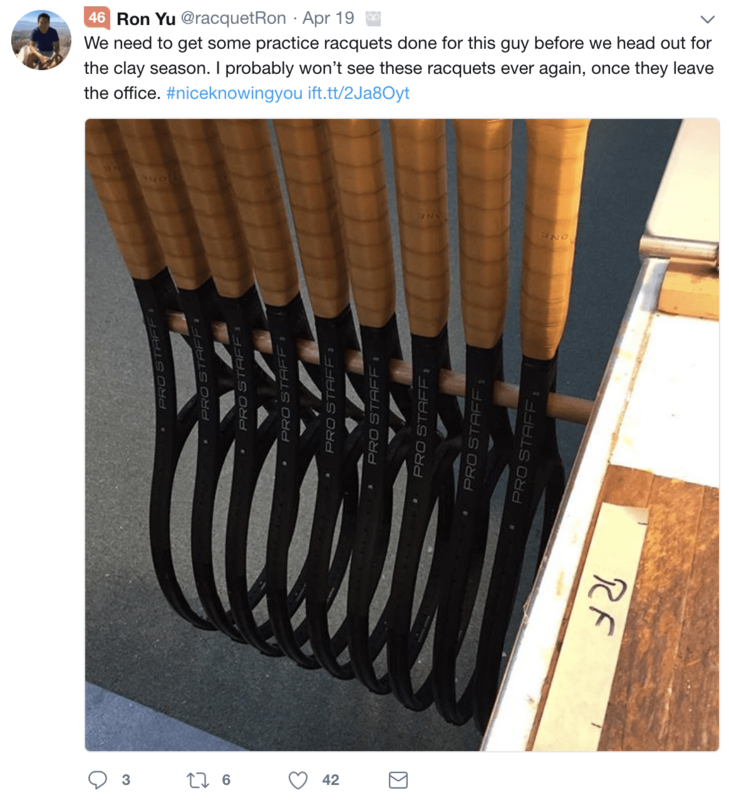 His comment, saying he will probably never see these racquets ever again, is a good indication that new paint job might be on the way. Federer is taking a break during the clay season, so it does make sense that Wilson wants to spark sales numbers as soon as he returns to his favorite surface. 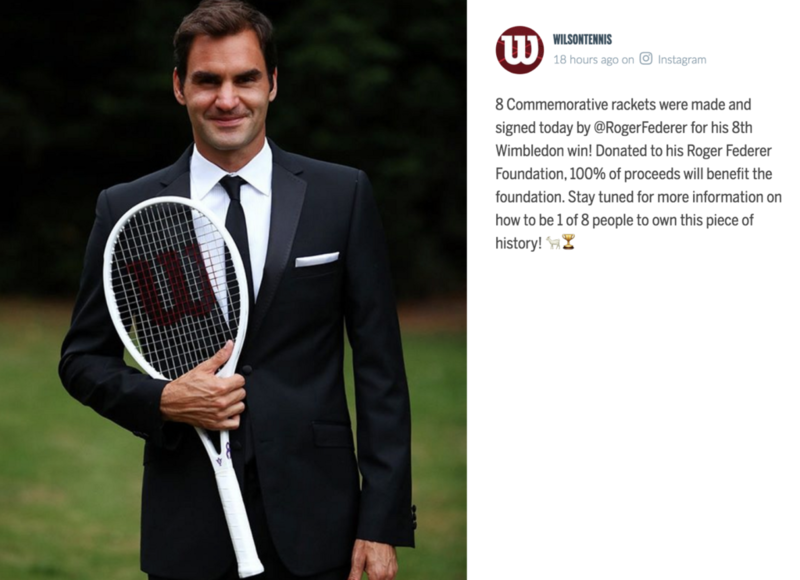 Now that Wilson has increased the pace of new paint jobs with reverse paint Blades and Burns and the Wilson Custom program, it does not seem unlikely with an all-white Wilson Pro Staff Roger Federer Autograph , does it? Maybe something like the one below? New paintjob for the Wilson Pro Staff RF97A – How important is a paint job? Since Roger Federer will not make any adjustments to his racquets and the fact that he is actually playing with a retail model and not a pro stock racquet (read more about pro stock racquets), it does not seem likely they will change more than the paint (read about Roger Federer’s strings and specs here). This makes you wonder how big the target group is. Will players who already have the all-black edition also buy a potentially all-white one? I own and enjoy the Wilson Pro Staff RF97 Autograph racquet (read my review OR buy it on Amazon ) and my next project is actually to equip it with power pads, Champions Choice strings , change the leather grip and see how it plays. Since the racquet I have is already 366 grams strung, I hope I can get it to play as close as Federer’s setup as possible. And then I will use it from time to time for fun and to work on certain shots. It is not my ultimate racquet for match play, but a damn fine racquet on its own. Does this mean I am interested in another paint job of this racquet? Not personally, no. I am a Roger Federer fan, like most tennis people seem to be these days, but not on that scale. A paint job can be cool and nice and all, but it is the playing characteristics I am most after, not the looks. Now I am curious to hear about you. Would you be interested in a new paint job for the Wilson Pro Staff RF97A? And how important is a paint job really? Wilson has the least durable paint, so maybe so.. ? Personally, I like the simple Babolat Pure Strike color scheme. I’d choose that for everything. I really like the Pure Strike paint job as well. Thanks Patricio, yes I saw that too. Curious to what the paint job will be. I don’t think it will be white and green like the Pure Strike Wimbledon. Thanks. That is a good idea. Would be interesting if people could chime in on what racquets they use and we could get some interesting data on that. Will think of a few different ideas to approach this.